Granary sleeps four, and is one of Scolton’s more spacious and luxurious cottages. Nestled in the top left hand corner of the main courtyard, it occupies an ideal location on this 18th century farm development. The back door opens onto a lawned area with outdoor seating for alfresco dining, and is just a few steps from the swimming pool house. Traditional meets contemporary in this roomy farm cottage. Downstairs is open-plan with exposed wooden beams and a comfortable living area, including flat-screen TV and Freeview. The spacious kitchen is well equipped with gas hob, electric oven, microwave and fridge with ice box. There is also a separate dining area, which comfortably seats four. 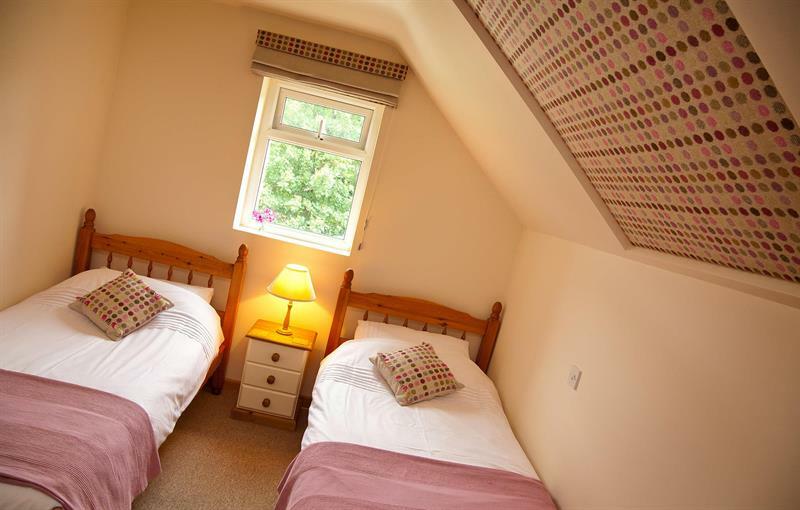 Upstairs, the two bedrooms – a double and a twin – both have adequate space for a cot. 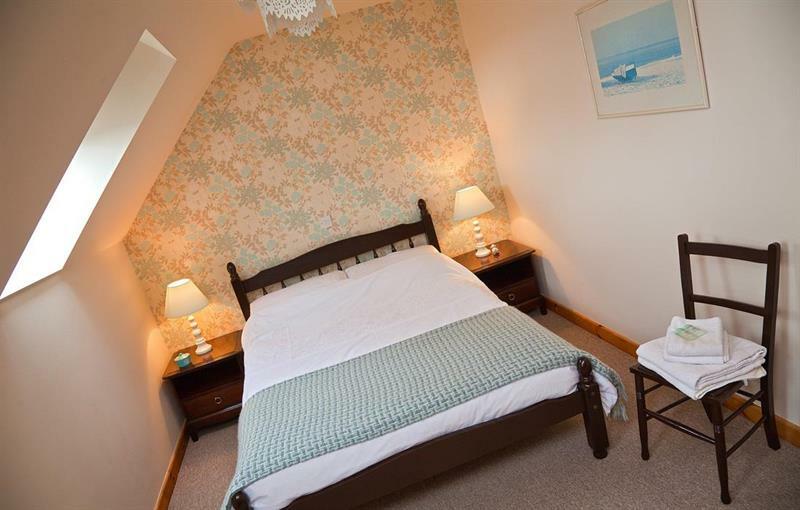 These light and airy bedrooms feature traditional furniture, throws, Welsh wool cushions and prints by local artists. The bathroom has a bath with shower over.